It absolutely blows my mind that I’m sitting here typing in words that today is Fresh April Flours’ 5th birthday. 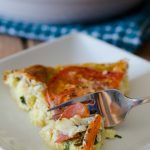 It’s been five whole years since I first hit “publish” on my blog (hey there, DeAngelis Family Easter Pizza— remade and renamed and rephotographed Italian anise bread in 2018), and so much has changed since then. 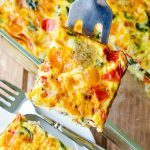 I started this blog as a place to share my recipes, and I never intended for it to yield any sort of financial benefit to my life, but that’s what it’s turned into, and I couldn’t be happier to have made it this far and still maintained (most of) my sanity, continued to be a full-time antibody technician, and managed to start a family. I began Fresh April Flours when Matt and I had been married a little under 1 year. And since then, we’ve moved to a new house, started a new business (Matt’s gym), and added two little boys to our family (almost 3 and almost 1). That’s a LOT. It’s been an absolute whirlwind, but it’s been such a fun adventure. FAF is just an added bonus to our crazy busy lives, and I couldn’t be happier that my hobby helps keep a roof over our head and food in our bellies. We are so fortunate. PS: have you noticed the new logo and brand new site?? I mentioned I was rebranding in my March edition of Extra Batter, and here’s the result! I’m in love with the fresh new look. If you’ve been following along on my Insta this week, you know it’s been FUNFETTI EVERYTHING. 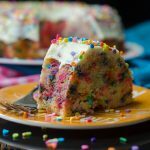 I’ve shared some of my most treasured funfetti recipes, all of which you can find here, but let’s recap some of my favs because it’s never a bad time for sprinkles! 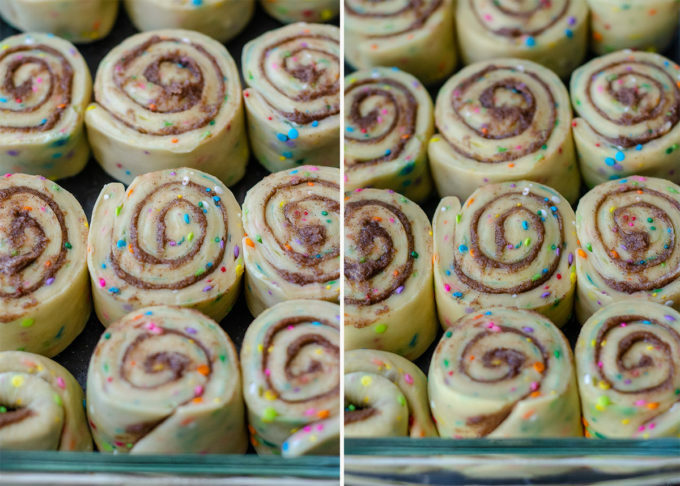 I’m so excited to be adding these funfetti cinnamon rolls to the funfetti collection, because they are definitely a show-stopping treat. 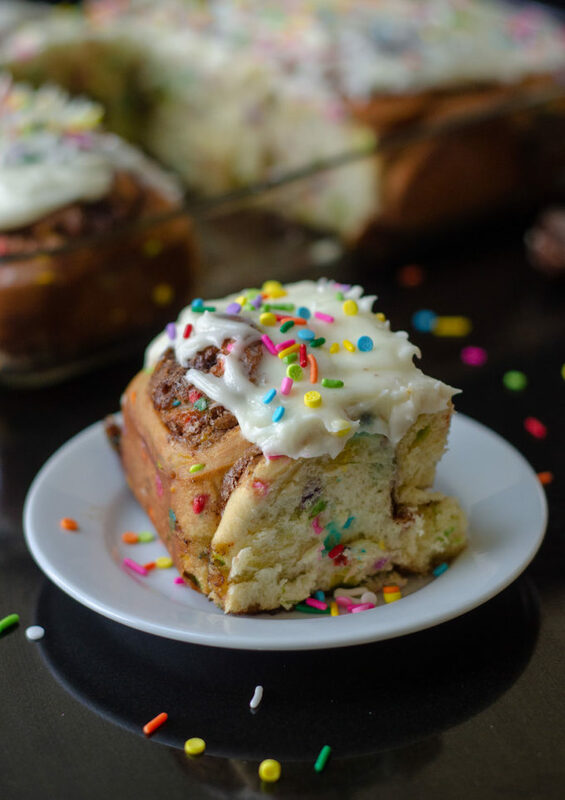 And if you think that cinnamon rolls are intimidating, I’m here to break it down for you so that you absolutely nail this one. I was a little intimidated at first but once I popped them in the oven, I knew things were headed wonderfully cinnamony and sprinkly places. This is a yeast dough, but what this dough does not need, unlike my other yeast breads, is two rising times. 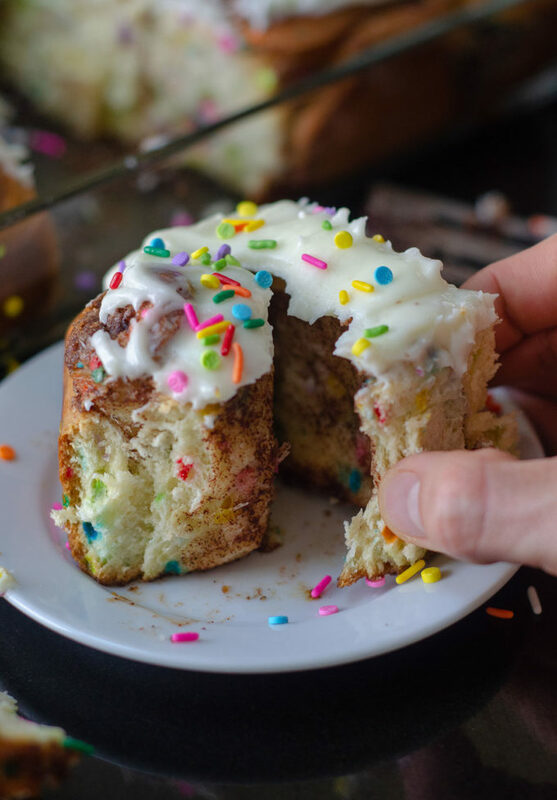 I actually made these funfetti cinnamon rolls with two rises and they were a disaster. One actually jumped out of the pan in the oven and started burning on the bottom of the oven. No bueno! So I started over, only let the dough rise once, and they were perfect. Instead of a 1 hour rise time and then an additional hour after shaping, we’re doing a 10 minute “rest” time and one 90 minute rise time. Still some hands-off time but things get done a bit faster in cinnamon roll land. 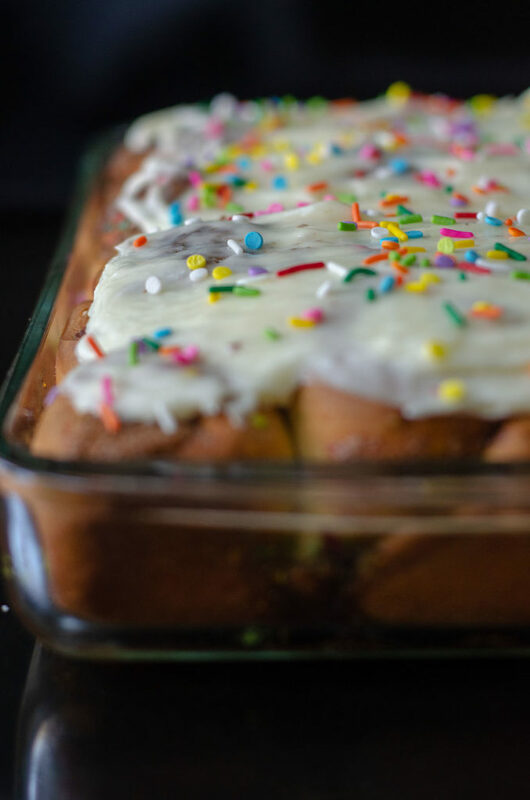 The dough starts out with activated yeast, warm milk, sugar, salt, eggs, vanilla extract, and the key to all of my funfetti recipes: almond extract. 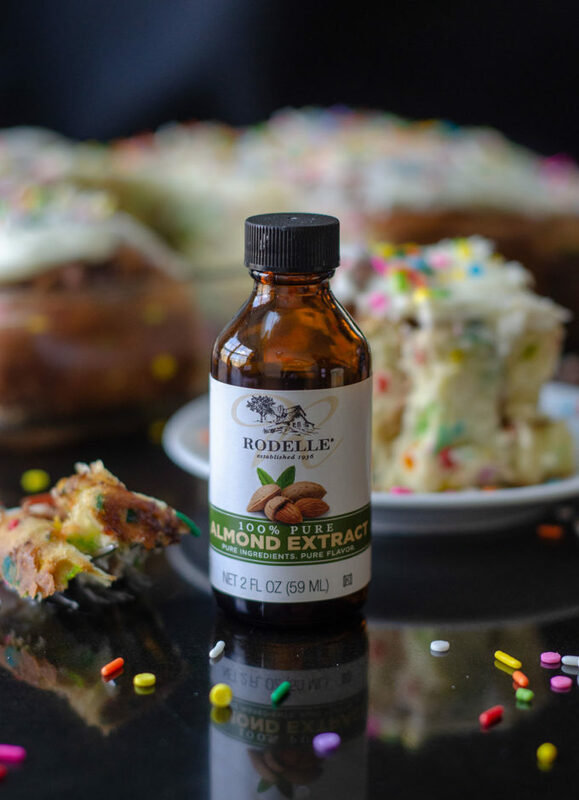 It’s what gives funfetti recipes that “cake batter taste,” and my favoriteeeee brand is hands down Rodelle. And lucky for you, they’re giving away some almond extract to one lucky winner! Stay tuned for details on that one! After the wet ingredients are all combined, you’ll start adding flour. Four and a half cups total. But here’s the key to soft buttery rolls: softened butter goes into the dough after the first 3 cups of flour are in but before the last 1 and 1/2 cups finish it off. Why? 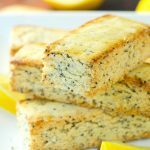 The butter incorporates itself slowly into the layers of bread and help keep things soft and supple. 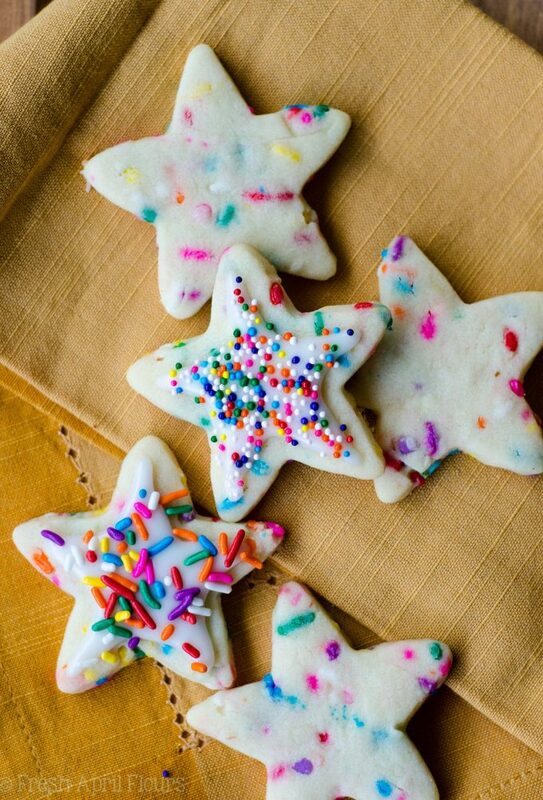 Once it’s all in, the last 1 and 1/2 cups of flour seal the deal before a hefty dose of sprinkles add the show-stopping details. After the dough comes together, a 10 minute rest is when you’ll prepare your filling. 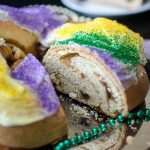 Roll the dough out into a floured surface into a 12″ x 18″ rectangle, spread the filling over the entire thing, and then roll up into one 18″ log. You’ll cut this log into 12 slices, each about 1 and 1/2″ thick, arrange them in a greased 9″ x 13″ pan, and this is where you’ll allow them to rise for 90 minutes. After their rise, bake the rolls, then allow to cool a bit before spreading with the creamiest dreamiest cream cheese frosting. That one is super simple: butter, cream cheese, powered sugar, and a touch of salt. Similar to what’s on my red velvet cupcakes, but much thinner for cinnamon roll purposes. You won’t believe how amazingly soft and buttery these are, with plenty of cinnamon sugar bites to keep you coming back for more. And that funfetti flavor? With cream cheese frosting? An unbeatable combo that will make an indulgent breakfast so much more fun or a treat like no other. 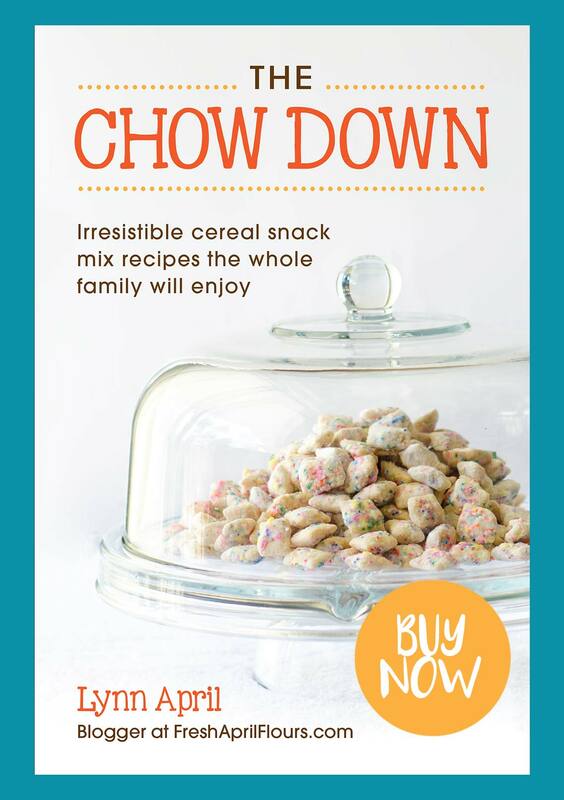 This is definitely one you’ll have to try! 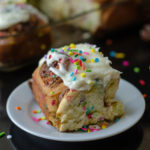 And now that I have you drooling over these funfetti cinnamon rolls, let’s talk giving away some goodies. Thanks to my good friends at Rodelle, one lucky reader will receive a goodie box full of some of my favorite ingredients. A bottle of almond extract (so you can make this recipe along with all of these ones), a bottle of vanilla extract, a bottle of Baker’s extract, and a container of gourmet baking cocoa. 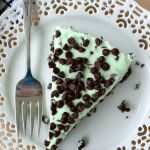 Simply leave a comment on this blog post telling me your favorite dessert! This giveaway is open to the US and Canada and ends at 11:59pm on April 16th. As I have said in the past, thank you so much for reading and for staying around these parts for all five of these years. And if you’re new here, welcome! I hope you’ll stick around. 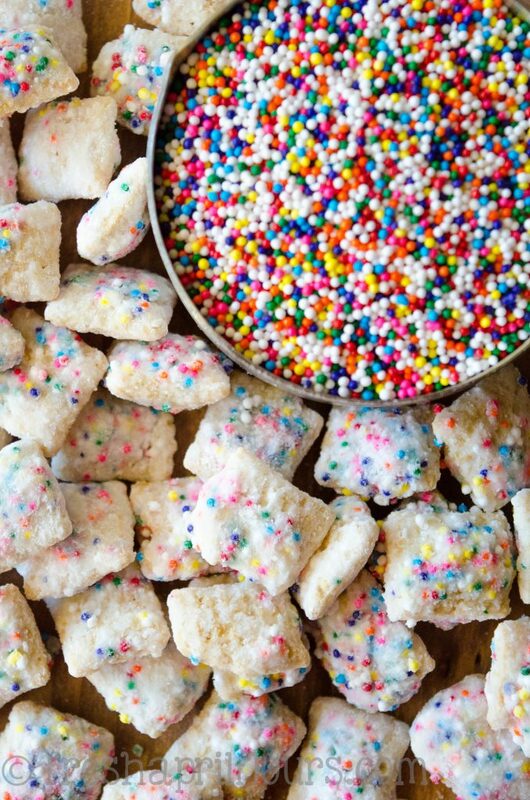 I promise to always share the best of the best recipes, and never to have a shortage of sprinkles EVER. 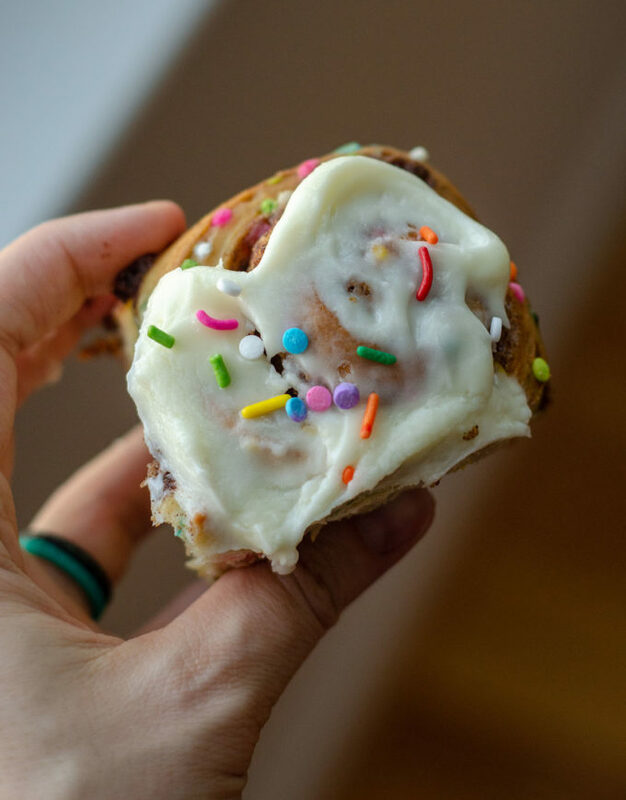 Simple yeast rolls filled with sweet and gooey cinnamon and studded with sprinkles. 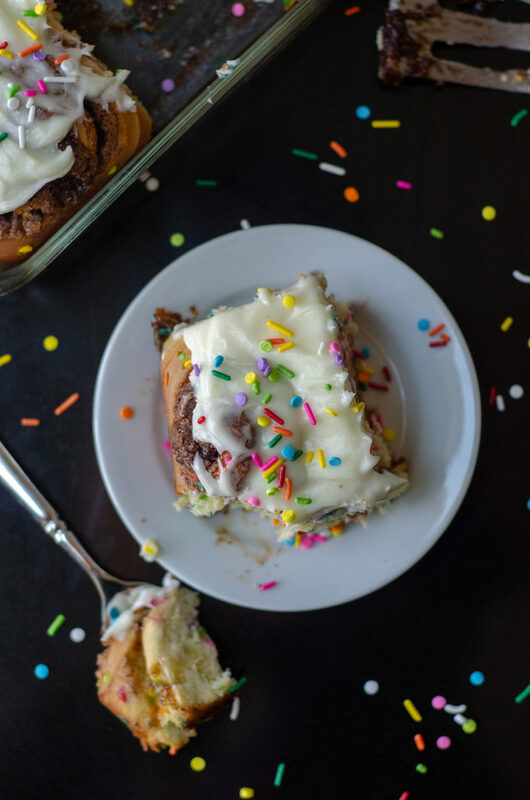 Spread with easy cream cheese frosting for an indulgent breakfast or treat! Spray a 9" x 13" baking dish with non-stick spray. Set aside. Place warm water in a small bowl. Sprinkle the yeast on top of the water. 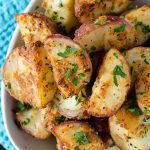 Stir around with a fork or spoon and allow to rest and activate for 10 minutes. In a large mixing bowl (or the bowl of a stand mixer) with a wooden spoon, blend the milk, sugar, salt, and vanilla and almond extracts. Add the egg and egg yolk and mix again. Gradually stir in flour. If using a stand mixer, use your dough hook. If mixing by hand, continue to use a wooden spoon. Add 3 cups of flour, allow dough to come together, then add the softened butter and continue to blend. When butter is mostly incorporated, add the remaining 1 and 1/2 cups of flour and blend until dough has completely come together. Add the sprinkles and continue to blend the dough until it has picked up all of the sprinkles. It should easily pull away from the sides of your bowl and dough hook or spoon. Turn out dough on a lightly floured surface and knead until smooth and elastic and sprinkles are spread evenly throughout the dough. 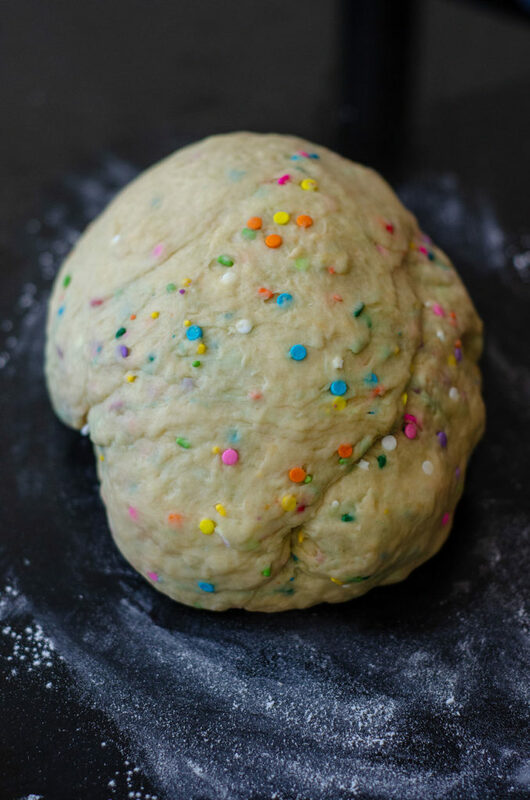 Your dough should feel like PlayDoh to the touch and “snap” when you pull it apart. Allow dough to rest for 10 minutes while you prepare the filling. In a medium size bowl, combine the butter, sugars, cinnamon, and reserved egg white. Stir with a spatula until mostly combined-- some larger chunks of butter are ok. Set aside. 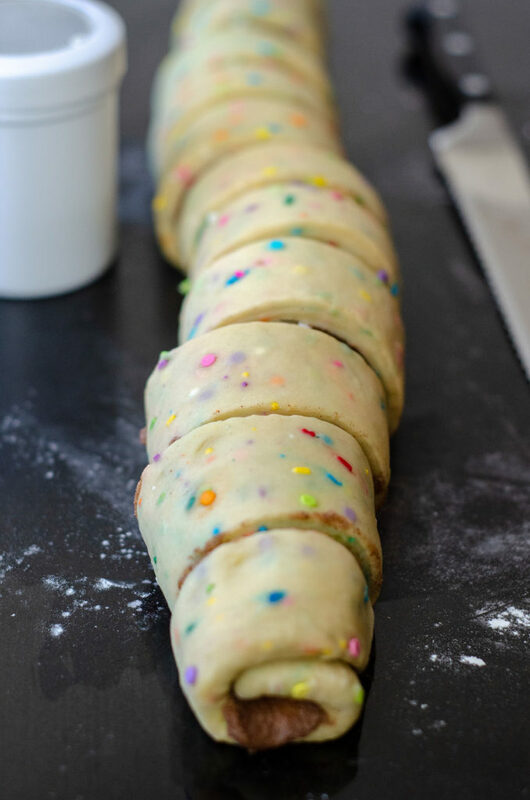 Using a rolling pin, roll the dough out into a rectangle 12" x 18" in size. Dough will be very elastic, so be patient and keep rolling. Using a spatula, spread the filling evenly over the dough, all the way to the edges of the rectangle on all four sides. Starting with one of the 18" sides, roll the dough up into a tight 18" log. Using a sharp serrated knife, cut the log into 12 even slices. Place the slices cut side down in the prepared pan (4 rows of 3), then cover loosely with foil or a kitchen towel and allow to rise for 1 and 1/2 hours. When roll dough has risen, preheat the oven to 375ºF. Bake the rolls for 30-35 minutes or until rolls just start to brown on top. You can cover the rolls with foil to prevent browning, if desired. Remove from oven and allow to cool for 15 minutes while you prepare the cream cheese frosting. In a large bowl with a handheld mixer or the bowl of a stand mixer fitted with a paddle attachment, beat the butter and cream cheese on medium-high speed until smooth. Turn the mixer speed down to low and add the powdered sugar. Add the salt and continue mixing until smooth. 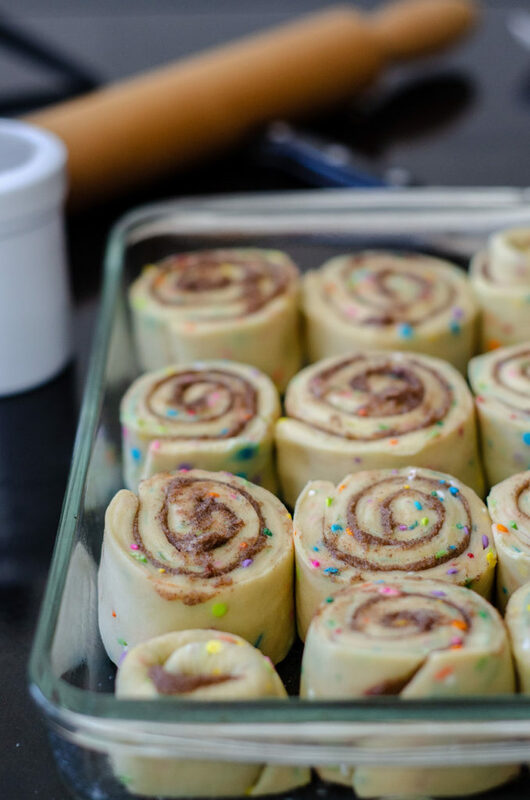 Spread cream cheese frosting onto slightly cooled rolls and serve rolls immediately. Leftover rolls stay fresh in an airtight container at room temperature up to 3 days or in the refrigerator up to 5 days. Reheat in the microwave for 8-10 seconds before serving. Make ahead: this dough can be made the ahead of time through step 1 of the "assemble and bake dough" instructions. 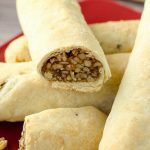 Cover rolls with plastic wrap and allow to rest in the refrigerator overnight. In the morning, remove from the refrigerator and allow to rise in a warm environment, about 1 hour. Continue with step 2 in the "assemble and bake dough" instructions. 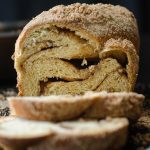 To freeze: baked rolls freeze well, up to 2-3 months. Thaw overnight in the refrigerator and warm before enjoying. To freeze unbaked rolls: bake the rolls in step 2 in "assemble and bake dough" instructions for 10 minutes at 375°F. Allow to cool completely, cover tightly, then freeze. Remove the rolls from the freezer and allow to thaw in the refrigerator overnight. Finish baking for the remaining 20-25 minutes before frosting and serving. 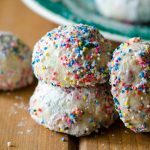 Funfetti Snowballs + A Giveaway! 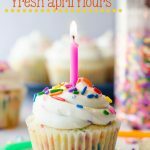 Homemade Funfetti Cupcakes + Happy 1st Birthday, Fresh April Flours! Key Lime Pie is my absolute favorite!! It’s hard to pick a favorite dessert because it’s my favorite food group! I like baking for others and the recipes that get the most feedback are my Oreo Stuffed Chocolate Chip Cookies and my Homemade Caramel Corn. I also love scones and biscotti. Those cookies sound amazing, Amy! That is seriously a loaded question. 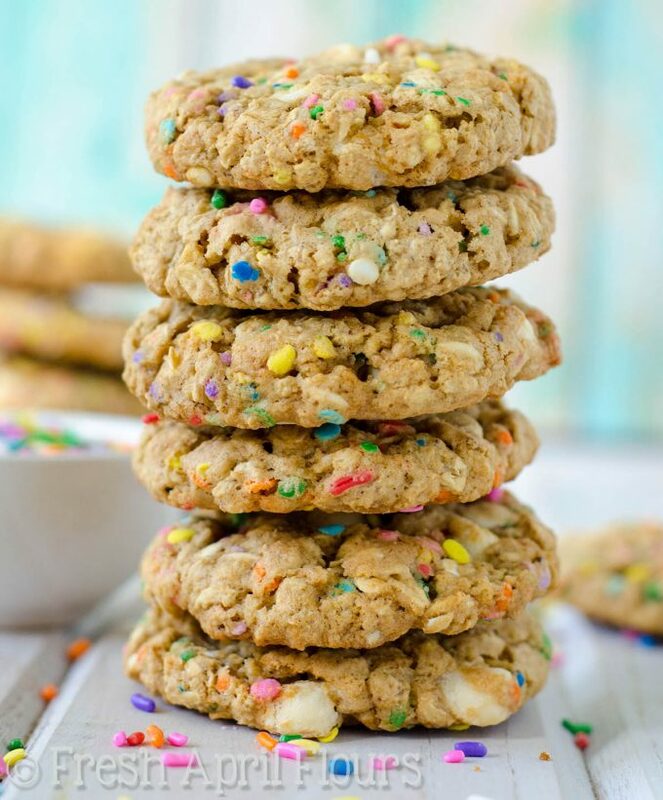 My favorite dessert to bake is probably decorated cookies, mostly because I like decorating them. My favorite dessert to eat would be cinnamon rolls/donuts. I love cinnamon rolls and donuts! Happy Birthday! 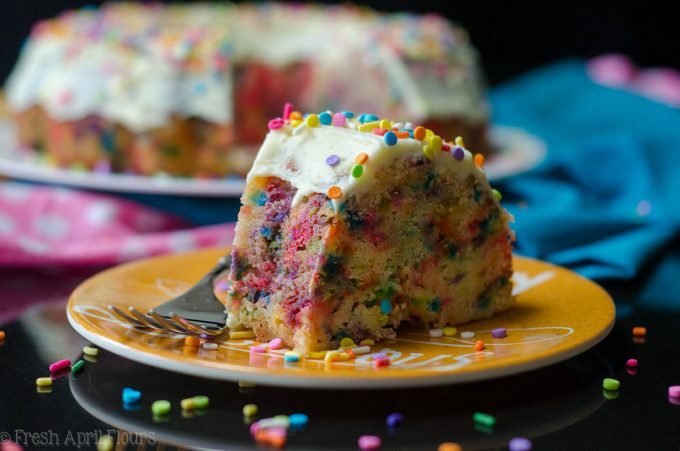 I love all the funfetti recipes! Decorating is super therapeutic. I have to agree with you on loving them for that purpose! Just one? There isn’t one that I dont like. But I’m making lemon bars today, so that is my favorite today. Hands down, my favorite dessert: Red Velvet Cake with cream cheese frosting! 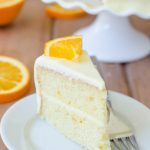 Happy fifth birthday, I love your posts and recipes! It’s very difficult to pick a favorite, as I love all sweets — but if I had to choose, I would say Chocolate Cake. Yum!!!! I love your carrot cake with cream cheese icing! I love so many of your desserts- but especially your pie crust to make apple pie! Picking one is very hard! I make an apple cake that I really like. I not a big cake fan otherwise. I’d rather have the icing. 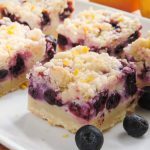 Streusel is always a plus too! Ice cream is my ultimate fav!! 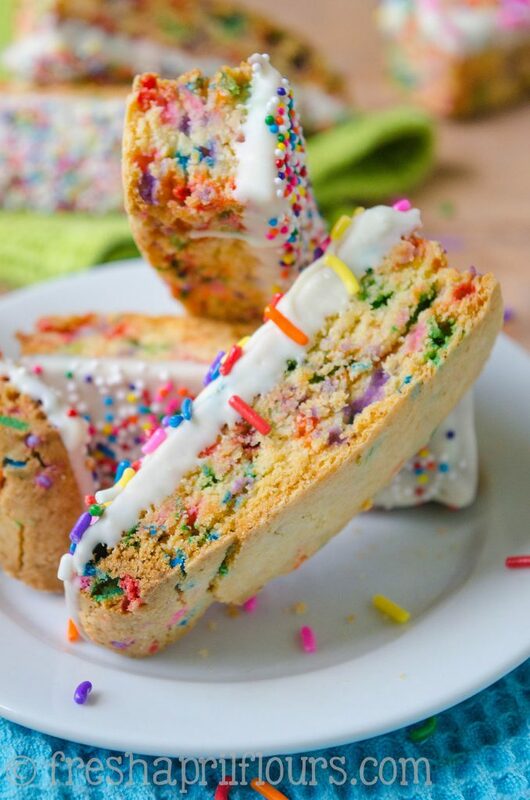 But classic from-the-box funfetti cake is a close second. 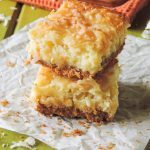 I love a ton of your recipes, as I’ve mentioned to you before, but in honor of the contest I’ll go with my husbands favorite: your key lime pie squares! I’ve made them several times, usually when I’m making something I know he’ll want. That said, I love them too!! Congrats on 5 years! Your hard work on all that you do is something to aspire to! Thank you so much! I just sent an email. So many good desserts to choose from. My fav is probably pumpkin whoopie pies! I love bread pudding. Yum. I love homemade yeast donuts with fruit jam. i love coconut macaROONS !!! I love making lemon cream cheese cookies. I like banana pudding. I don’t even like bananas very much, but if you try to make banana pudding with just the wagers and the pudding, it isn’t the same. Fav dessert will always be chocolate cake, but these are my girl brunch dreams! Really really hard to pick favorite but I do love a dark chocolate brownie…….YUM! 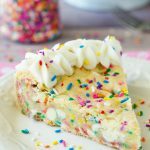 Sorry I missed the giveaway, but wanted to say Happy Birthday to the blog and tell you I love the redesign. My favorite dessert will always be cookies. 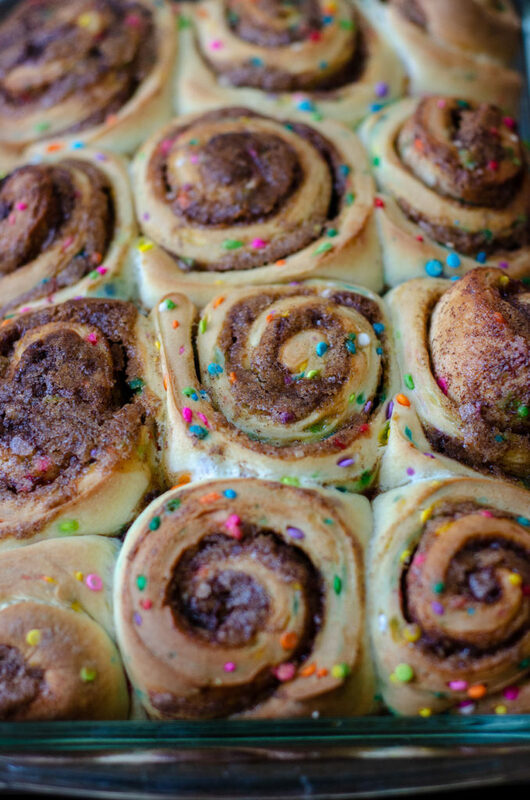 Love the looks of these cinnamon rolls too.